Back in September last year, Suzuki showcased a concept vehicle at the Paris Motor Show. 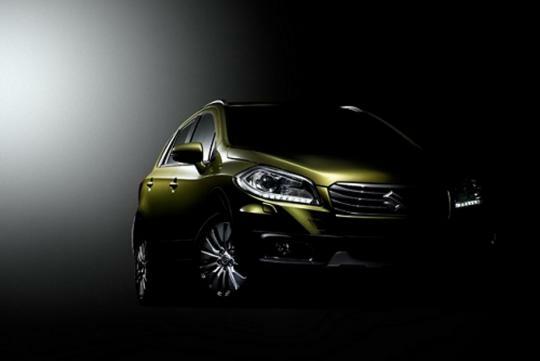 The concept is known as the S-Cross and the company has promised to unveil a production version of the concept in 2013. Recently, the Japanese automaker has released a couple of teaser images of the car in a new form and it will premiere at the upcoming Geneva Motor Show in March. The yet unnamed C-segment crossover is based on the above mentioned concept and it is said to be the successor to the Suzuki SX4. Suzuki has stated that the car will offer outstanding versatility to consumers and it will feature a roomy interior and one of the largest luggage area in its segment. Much of the car�s overall styling remains pretty much the same as the concept shown last year but there have been several changes made to it. 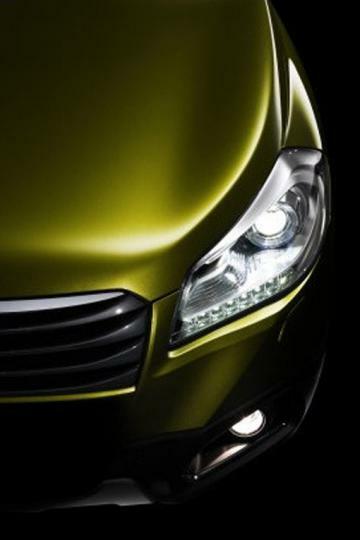 LED lights which were initially fitted on the bumper�s air ducts have been moved to the lower part of the headlights. The front bumper has been toned down a little for production and the front grille is now more similar with the rest of the company�s current models.  The car�s wheels are also different and the headlights appear to be wider. The company has also revealed that the new crossover will be available in four wheel drive and in both petrol and diesel engines. More details of the car will be made available during the auto show.